Kalma IDP camp, South Darfur, August 3, 2004.Sharif Adam, 12 months old, on his mother lap. 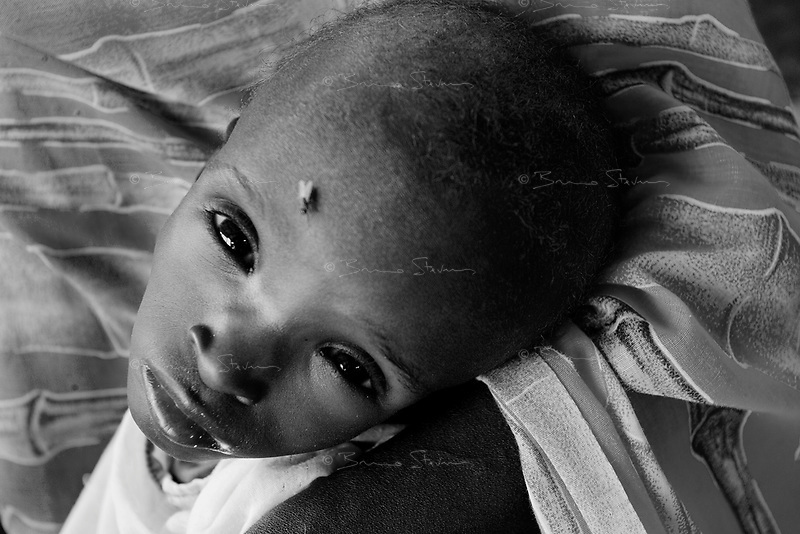 He suffers from severe malnutrition, weighing at only 4,3 kg . He is one of about 2000 children in the MSF emergency nutrition program in this camp.